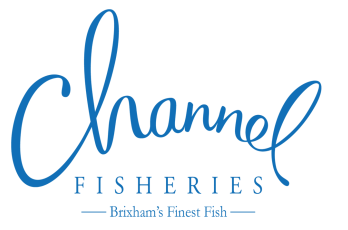 Channel Fisheries was founded in 1981 in the beautiful port of Brixham on the southern tip of Torbay. Over the years we have grown from strength to strength and today offer a bespoke service to the top end of the U.K hospitality industry. Collectively our buying team have over 60 years experience in sourcing the finest quality wild fish and seafood from the south coast of England during which time we have forged strong trading relationships and lasting friendships with many of the local producers. Brixham has been one of England’s main fishing ports since the Middle Ages and thanks to our location our local fishermen have always offered an exceptional selection. We work innovatively with all the catch from our boats; offering a rich harvest including fresh Whitebait, baby Cuttlefish and wild Bream to name but a few and we support the seasonality of our waters, offering the finest Turbot in the winter and nets bursting with Sardines in the summer. As a small team who have worked together for many years we share a commitment and obsession for supplying the freshest, most varied and sustainable fish. This passion for quality and service was recognised in 2006 when we were granted a Royal Warrant as fresh fish merchants to Her Majesty Queen Elizabeth. Our reputation amongst Britain’s finest hotels and restaurants has been built on the quality and variety of our products and we are renowned for being able to deliver throughout the U.K within 24 hours of the catch being landed.